The one thing about Ritu that everyone has to say is that she gets the job done. She is extremely professional and detail oriented person willing to think of out-of-the-box solutions to seemingly insurmountable problems. Her drive, energy and positive attitude are contagious and she embodies the spirit of a walk the talk entrepreneur. She has several awards and honors to her name. She started TGH (The Global Helpdesk) with an aim to provide services to top corporate houses across India. It is a PAN INDIA based brand leader and experts in lifestyle and facility management solutions. It provides concierge supported employee loyalty and customized business hospitality services. Their expertise in assisting the most varied customer base enables them to offer creative, quality services that deliver life-enhancing benefits, solutions and rewards. In the early 90’s with the advent of corporates and rise of professionalism arising in the workplaces, I realised that there was a strong need to balance the work life of the working classes. Being a busy professional myself and trying to juggle between my work and family, I longed for a GENIE who would simplify my life and give me the GIFT OF TIME. Our concept is a win – win for both the employer and the employees as it helps in letting them focus on their work spaces as well as allows them to spend quality time with their families. The biggest challenge was to a have a dependable list of channel partners who could support us 24×7 so that we could exceed our customers’ expectations time and again and be ahead to deliver. I have always believed that service industry is like a rice field where the crop grows together and following the same fundamentals we have ensured that TGH team and channel partners grow together with the same success story. Innovation and technology are the foundations of our growth. Please provide a brief overview of TGH serviceS. 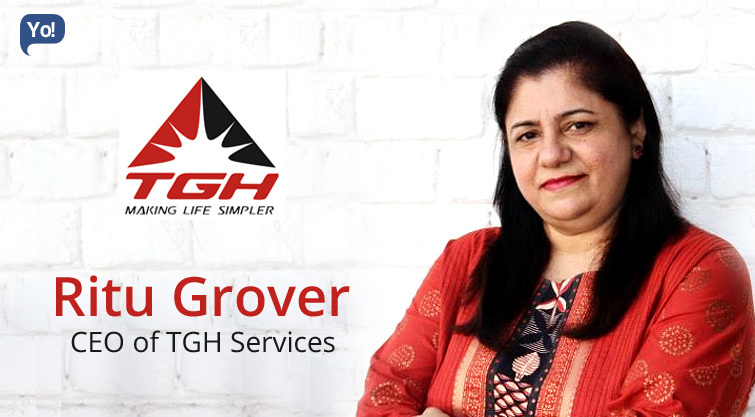 TGH started its services from a being a lifestyle management company and has grown into a diverse group offering various verticals to name a few: Facility management, automated mailrooms, rewards & recognition programs, concierge services. Delivering excellence has always been a value with me. My focus has always been to constantly create a workplace that encourages growth, achievement and innovation. The biggest investment is that TGH and the service industry are synonymous. We enjoy immense goodwill and respect in the industry and have thousands of testimonials from our patrons. I strongly believe in digital India and the leverage that the technology has brought to the industry today. At TGH, we are very tech savvy and use technology at every step. Ours has been a self-sufficient company as yet. We will soon decide on external fund infusion. At TGH, we believe in working as a team and nurturing an enduring culture that is fun to work in, intellectually challenging and conducive to their personal and professional growth. At TGH, we are very team centric and retain the motivation levels of the entire team by imparting continual training programs, communication of the framework and guidelines of the group so that there is a clear transparency in the approach all across the teams without any sense of ambiguity and lack of direction. TGH is a great organisation for learning and unlearning. Inspirational leadership, lead by example style of management and strategic vision and forecasting. We are continuously finding ways and means to reinvent. Re engineering the work process resulting in process optimisation to facilitate the conception of innovative solutions every time. I am a contended person. Exceeding our customers expectations by achieving operational excellence to enable customers to get better benefits. Do not copy. Create your own success story. Believe in your instincts and make your own path.Live life kingsize. I see TGH as the number one facility management company in the country. We’ve been expanding rapidly to take TGH to the next level and spread our presence on an international level. I would like to give a two-fold answer here. The best alternative would be to do exactly what I am doing and if I am barred from making that choice I would choose a career which would keep me outdoors and close to nature.